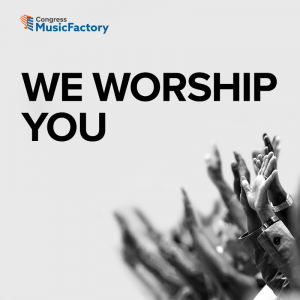 We are pleased to share with you these prayers and worship songs from Dr. Noel Woodroffe and our Congress MusicFactory. ‘We Worship You’ reflects the heart of our corporate worship, reverence and gratitude to God. The singers, choirs, songwriters and musicians on this album truly reflect the beauty of the Body of our Lord Jesus Christ. They have come from the ends of the earth – from the Caribbean, United States, Europe, Africa, Asia, Latin America and the Pacific – to collaborate and to create this resource that we now share with churches and believers across the world.